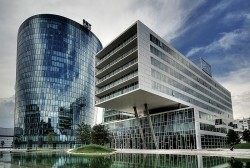 Kommunalkredit AG earned €7.5m ($9.5) net, in the first half of 2010. It is the first period since the split in November 2009; a comparison with the previous year is therefore limited. The controversy over Verbund capital is likely to prolong. Infrastructure Minister Doris Bures will continue to insist on her initial position. Verbund AG wants to increase its equity, the federal government as majority shareholder will support the plan, which will be discussed, in tomorrows Council of Ministers. 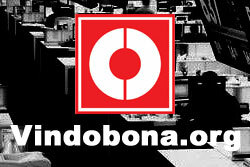 The OIAG aims to become an infrastructure holding company. The federal real estate company (BIG), Verbund (energy), Asfinag (infrastructure) and parts of the ÖBB (railway) will be slowly integrated in an ÖIAG structure. Banks' equity - "Basel III costs 46 000 jobs"
The stricter rules for the equity of banks will reduce lending by up to 20 percent, says the Institute for Advanced Studies (IHS) in Vienna. Economics Minister Reinhold Mitterlehner warns EU countries about excessive savings. "Instead of linear cuts, you should save intelligently. Otherwise, domestic consumption is decreased too much," said Mitterlehner. 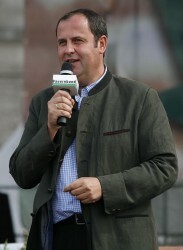 It is unusual that the former Austrian Trade Union Federation President Rudolf Hundstorfer finalised a draft law without a vote of social partners. 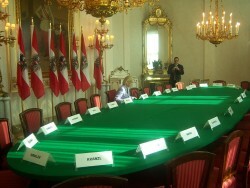 According to calculations of the Green Party Federal Councillor Elisabeth Kerschbaum the project costs Austria €158m. Referring to speculation according to which Austrian banks with their relatively low equity ratio should not perform that well, Bank Austria CEO Willibald Cernko said "If one considers capital only, they will be at the top of the bottom third." In the context of the forthcoming increase of capital of Verbund hydro electrical plants could be bought from the Austrian Railway Network ÖBB. At the political level it is fiercely debated how detailed the publication of the stress test should be. The FMA currently tests whether the stress test results are stock market relevant, compulsory publications. 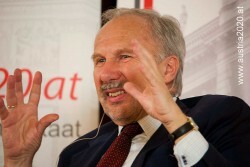 Nowotny - raising the "retirement age"
Higher life expectancy, rising deficits: Austrians should therefore delay retirement, says National Bank's CEO Nowotny. Pröll on economic status quo, "thunder and lightning are over"
The EU has demonstrated that "it is able to act in one of the worst crises, even if there were some mistakes," says Austrian Finance Minister Josef Pröll. In the crisis years 2008, 2009 and 2010, the public debt mountains are exploding. In the EU, the debt within three years has increased from 60 to 80 percent of GDP. The Wifo suggests that firms should pay if their employees are sick and are sent into early retirement. 91 European banks will have to undergo stress tests of European regulators. Two Austrian institutions will be tested as well. A convergence of calculation basis to real market values could, according to the Wifo, generate additional income of half a billion Euros. 17 clauses at Bank Austria conflict with the new payment service law, according to the Vienna Commercial Court. At the height of the crisis in April 2009, 57 000 employees were short-time workers , there were only 8313 at the beginning of July 2010. 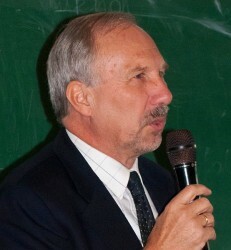 The Austrian central bank chief Ewald Nowotny has practiced unusually sharp criticism of the Hungarian government, more specifically at the proposed Hungarian bank tax. The federal government is missing €4b ($4.9b) in revenue, in the first four months of this year. In total a decrease of €6.1b ($7.5b) was registered. 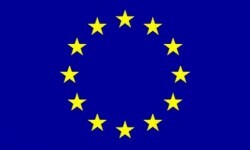 The European Commission extended the authorization for the Austrian bank rescue package of €100b ($123b) for half a year. The European Commission refers Austria to the European Court of Justice. Reasons are fundamental barriers to the acquisition of agricultural land in Vorarlberg. Due to existing migration barriers, Austria looses highly skilled workers who are hard to find, especially in the years of the boom in the domestic labour market. Financial transaction tax demanded for G-20. 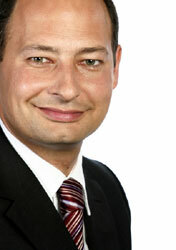 Deputy chief negotiator is Alfred Hintringer - former chief negotiator Hermann Haslauer available as consultant. Tumpel - No mass taxes! Higher taxes would further boost inflation - rising prices mean less purchasing power and ultimately less growth. WKÖ chief to submit reorganization plan or to remain silent. OMV produced oil from 1997 to 2003 in sector 5A in Sudan. The current report of the European Coalition on Oil in Sudan (ECOS) provides new evidence that there is a direct link between oil production and the intensification of the conflict. The number of dollar millionaires did not only rise in Austria but also increased substantially worldwide. Pröll - Austria will introduce a bank tax in a solo attempt. "The bank tax will be discussed together with the banks and it will be implemented, I stand for that," announced Finance Minister Pröll. Special Prize of the Economic Chamber of Austria "women in leading positions" goes to Margaret Fürtbauer. If it was for the BZÖ party, parts of the ÖBB should by privatised by being listed. Austrian President Dr. Heinz Fischer said today at the IIF conference in Vienna "a developed social system and equitable distribution of income and wealth for the economic efficiency and political stability of a country are particularly important". "50,000 new green jobs are possible in Vienna," says the club chairwoman of the Greens Vienna, Maria Vassilakou, in reference to a study by Greenpeace presented today in Berlin, that the world could produce 8.5 million jobs in the renewable energy. "The recovery in the labour market is a welcomed development. This shows that the economic stimuli programmes and actions of the Minister of Social Affairs are important and correct, "says AK President Herbert Tumpel. It can be seen as a "disastrous economic policy error comparable to a self-imposed trade embargo" describes Secretary General of the Federation of Industrialists (FI) Markus Beyrer the abandonment of the export orientation of the Austrian economy. Austria's telecommunications service provider Telekom Austria decided at its regular meeting today, a dividend of 0.75 euros for 2009. In the future, all transfers in Austria can be traced back; donations to certified organizations and payments of up to € 1000 are exempt. “The European Commission’s statement on a planned unilateral act on emission reduction is rejected by the Austrian energy sector, "said Secretary General Schmidt.